Something very peculiar is happening in Stockholm. There's a heatwave on and people cannot turn their lights out or switch their appliances off. Then the terrible news breaks. In the city morgue, the dead are waking up...What do they want? What everybody wants: to come home. 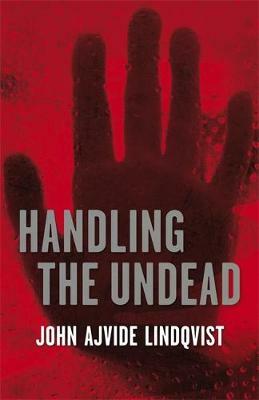 "Handling the Undead" is a story about our greatest fear and about a love that defies death. Following his success with "Let the Right One In", this novel too has been a bestseller in his native Sweden. I loved this book.It's totally different from "Let the Right One In" which I also adored.